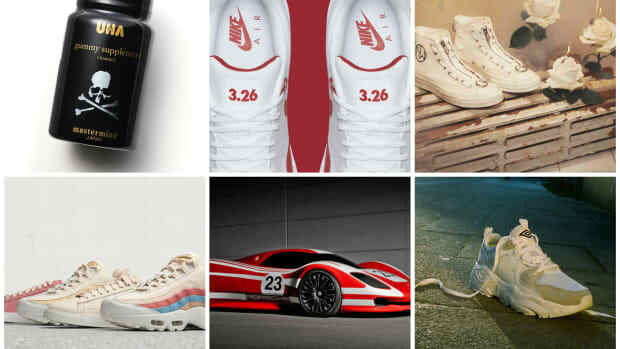 It&apos;s April Fools&apos; Day and while our recap includes some funny story lines and half-jokes, a lot of weekend happenings include upcoming collaborations, customizations and important releases. 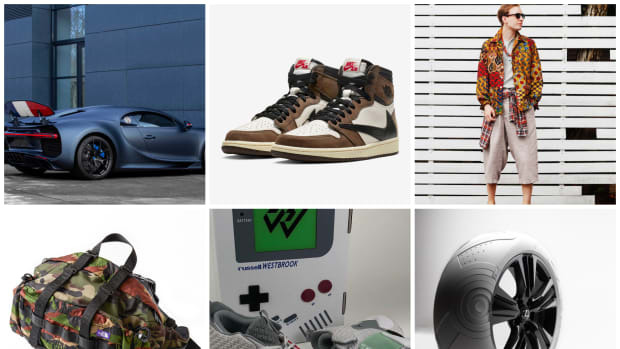 Coca-Cola Japan and Marvel Studios teamed up for special edition Avengers: Endgame cans, Mobile Suit Gundam and Hello Kitty meet in space to celebrate both franchises&apos; anniversaries, Google adds the classic game Snakes into Maps and a custom Air Jordan 11 is designed to celebrate the 2015 Jordan Cabernet Sauvignon. Impossible Foods x Burger King "Impossible Whopper"
Sneaker customizer Troy Cole of Kickasso Kustoms has created a special edition Air Jordan 11 to celebrate Jordan Winery&apos;s 2015 Cabernet Sauvignon. 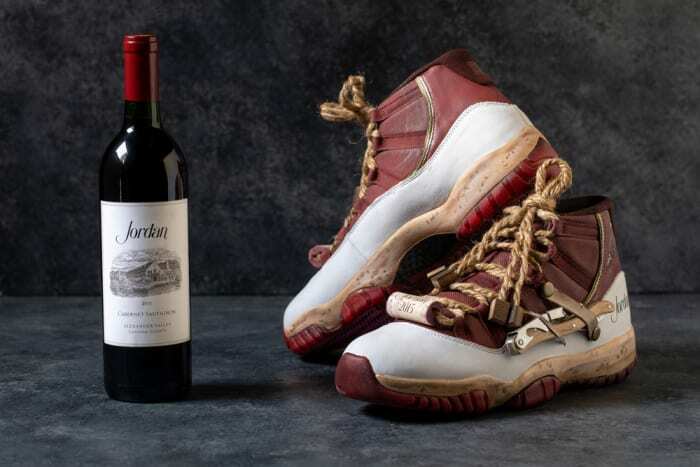 The Air Jordan XV Retro 2015 Jordan Cabernet Sauvignon Limited Edition commemorates the May 1 release of the wine, which is the winery&apos;s first vintage aged entirely in French oak. 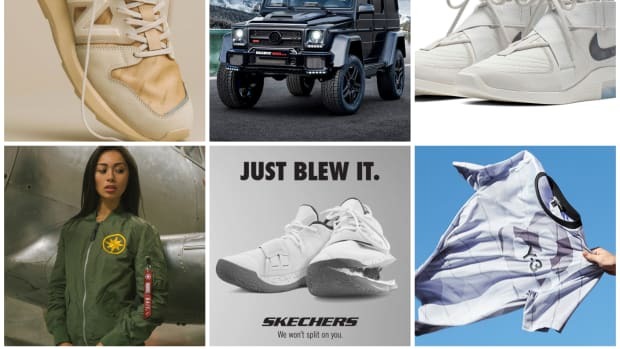 Each pair is contained in a small French oak barrel and the limited pairs were given out to celebrity fans of Jordan wines including Cam Jordan, Troy Aikman, LeBron James and Landon Donovan. 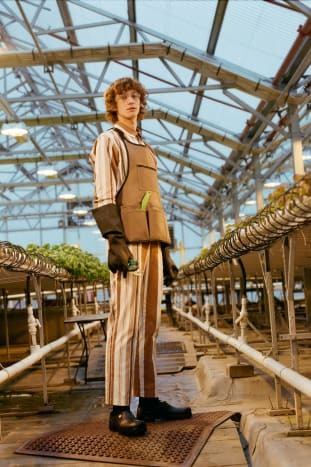 Opening Ceremony teamed up with Dickies 1922 for a Spring 2019 unisex collection filled with bright hues. Included in the collection are Workwear Shirt Jackets, Original Work Pants and Cotton Canvas Lab Coats. 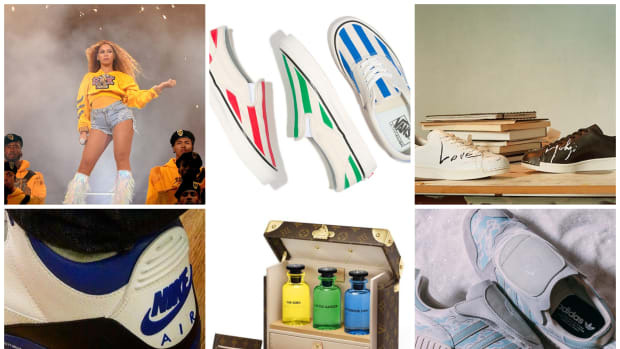 Pricing ranges from $185-$245 and the collection is exclusive to Opening Ceremony. You can purchase pieces now on openingceremony.com. On April 4, any in-store purchase of a piece from the collaboration will be eligible for complimentary embroidery. 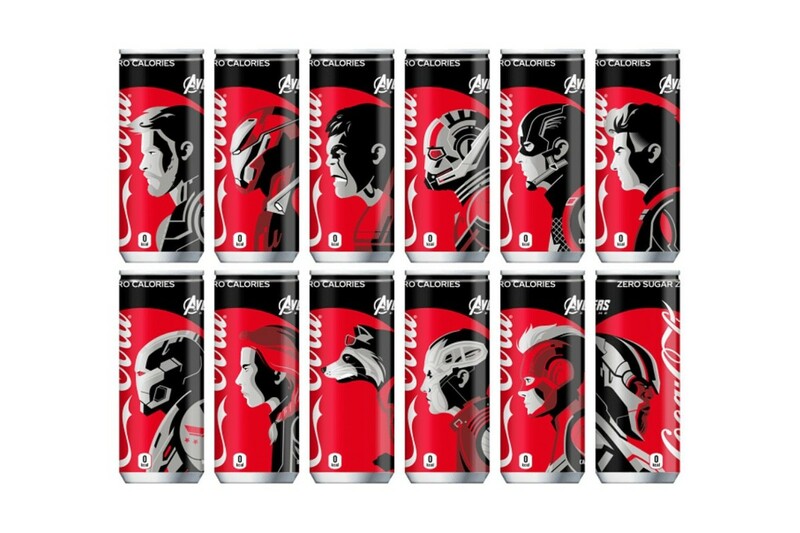 Coca-Cola and Marvel Studios have joined forces for a collaborative series of cans to launch Avengers: Endgame. The 12-can collection features Thor, Iron Man, Hulk, Ant-man, Captain America, Hawkeye, War Machine, Black Widow, Rocket, Nebula, Captain Marvel and Thanos. All the Avengers are facing left while Thanos is facing right. Shades of red, grey, black and white are used on the Coke Zero product. 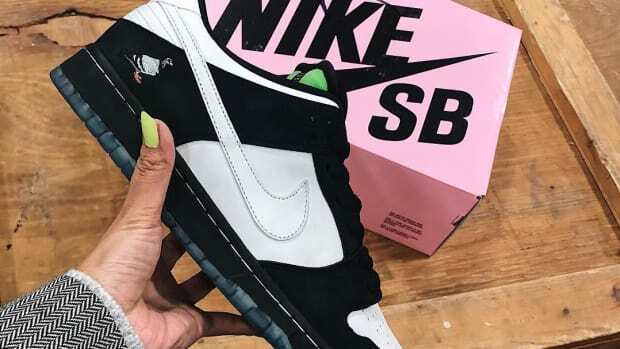 The collection will be limited to Japan for now. 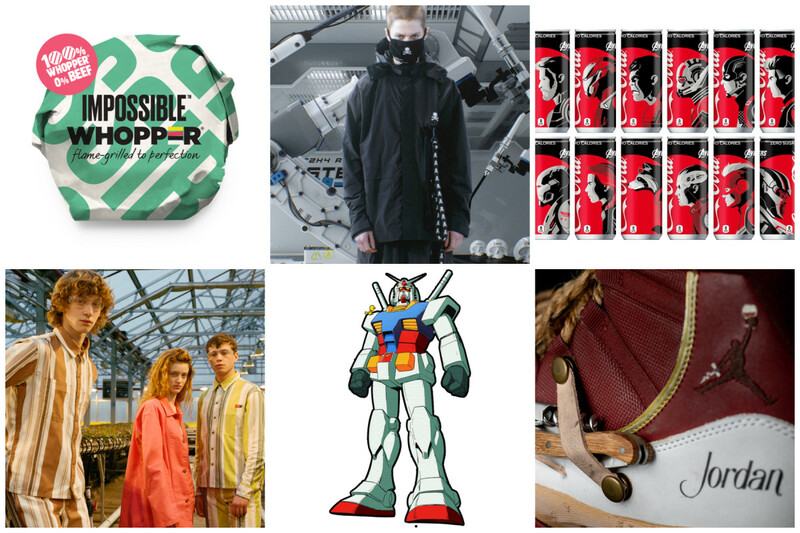 C2H4 tapped mastermind JAPAN for a new collection dubbed "TX-074." 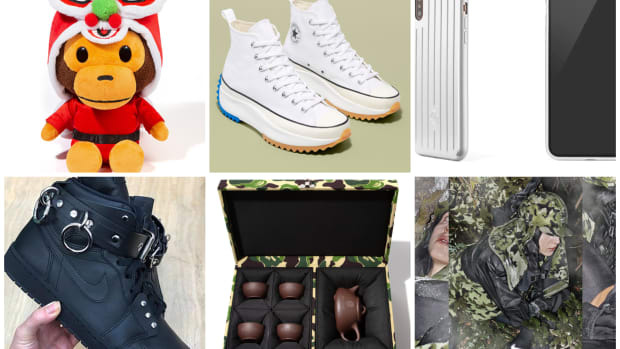 C2H4 has created a Robotics division for the lookbook and presents collaborative apparel and accessories alongside the Japanese brand&apos;s iconic Skull. 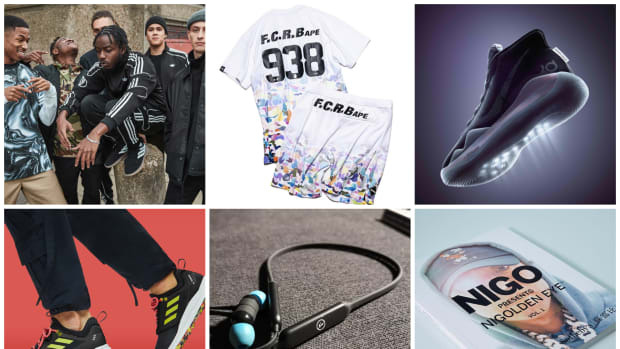 Standout pieces include the windbreaker, hoodie, track pants, mask and socks. 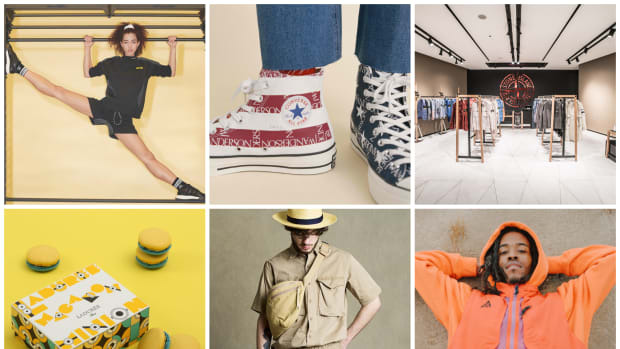 The collection launched on March 30 via c2h4losangeles.com. Mobile Suit Gundam continues to celebrate its 40th anniversary and will do so alongside Hello Kitty, which is celebrating its own 45th anniversary. A Gundam vs. Hello Kitty website and short film were launched by Sanrio and there you can explore upcoming events and the history of both franchises. The cult favorite game Snakes makes a return via Google Maps for April Fools&apos; Day. Available to both iOS and Android users, the game will be available in the app as well as on snake.googlemaps.com for this week. In the game you move around as a train or bus and pick up passengers to grow in length. Impossible Foods makes plants taste like meat and have teamed up with Burger King for their latest project. 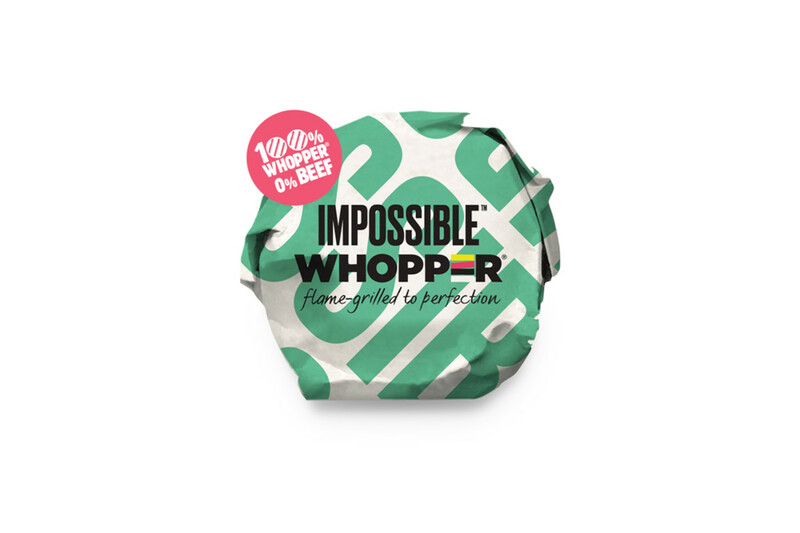 The "Impossible Whopper" launched in St. Louis, Missouri at 59 Burger King locations and is an actual U.S. launch as well as an April Fools&apos; joke. In addition to the plant-based "burger" patty, there is also lettuce, tomato, pickles, onions, mayo and ketchup in the new Impossible Whopper. No news on whether there will be a nationwide roll-out.